PI offers 1000’s of proven, off-the-shelf precision motion products that can be quickly modified for the OEM or into a custom automation sub-system. PI has a long track record of working with OEMs in the most demanding industries from Semiconductor Technology to Medical Design – industries where product performance, quality, and the ability to ramp up quickly are not the only parameters required to satisfy the customer's demands. Working with technology leaders all around the world forces you to continuously improve your yield, process, and product performance. And unless your quality is outstanding, you cannot become a key supplier to major US, European, and Japanese companies in the Optics, Photonics, Semiconductor, and Automotive industry. PI is a supplier of high-end precision motion systems and makes use of own drive components and high-precision positioners to build customized positioning and automation sub-systems —“motion engines”—for our customers. With the largest portfolio of precision motion technologies in the industry, PI engineers have the best foundation to find a solution that matches your requirements in terms of precision, quality and budget – in a timeframe that works for you. With thousands of standard products and customization available, PI has the motion control positioning product solution for your application. Learn about the latest innovations in motion control and nanopositioning components and systems. Use the PI Product Finder - it's fast and easy! Select the product type specified by the axes of motion required. Selection of more criteria expands or shortens the list of results. Select more than one filter at at time, for example, to find positioning stages designed for higher load capacity, too. Air bearings provide advantages over mechanical bearings when vibration-free motion is required, highly constant velocity control is crucial, and when angular repeatability and geometric performance must be optimal. Air bearing stages (linear, rotary, and spherical) replace mechanical contact by a thin air film, avoiding wear, friction, vibration, and hysteresis effects. Compact positioning stages are crucial for the miniaturization process in cutting-edge research and industrial applications, for test & measurement, optical and opto-mechanical alignment, and component assembly. PI provides the largest portfolio of miniature stages, including high-speed linear motor stages, economical stepper motor units, and ultra-compact piezo motor positioners. PI offers the broadest and deepest range of precision motion technologies for micro and nano precision applications. Our engineers work with our customers to find the best drive and bearing technology for each individual application. Having access to multiple drive and positioning technologies allows an open discussion with a better outcome for the customer. Brushless linear motor-driven stages provide high speed, precision and long life. High performance motorized stages, designed for heavy duty applications in industrial precison automation. The PI group employs over 1,200 people in 15 countries and runs engineering and manufacturing centers on 3 continents. Select from the broadest portfolio of precision motion technologies, including piezoelectric and air bearing systems, with 1,000’s of standard products or have our engineers provide you with a custom solution. A precision linear actuator is a positioning device that provides motion in 1 degree of freedom. PI designs and manufactures a variety of precision linear actuators (pushers) including economical stepper-motor driven actuators, high-speed linear motor types for automation and nanometer precise piezo-motor actuators. A gantry precision positioning stage is sometimes called a linear robot or Cartesian robot. Gantries typically provide motion in 2 or 3 linear degrees of freedom (X-Y and X-Y-Z) and are often used for pick and place applications, 3D printing or laser machining, and welding applications. Hexapod positioners are often referred to as Stewart Platforms. A hexapod is based on a 6-axis (XYZ, Pitch, Roll, Yaw) actuator system arranged in parallel between a top and bottom platform. PI parallel kinematics (PKM) precision positioning systems have many advantages over serial kinematics stages, such as lower inertia, improved dynamics, smaller package size and higher stiffness. In addition hexapods are more flexible than conventional 6 axis positioners. PI offers the broadest and deepest portfolio of nanometer precision motion technologies, from piezo-driven nanopositioning and scanning stages to motorized 6-axis hexapod positioning systems. Largest selection of integrated XY piezo flexure stages with nanometer precision. Largest selection of integrated XYZ piezo flexure stages with nanometer precision. Piezo-driven fast steering mirrors (FSM) achieve nanoradian resolution and high bandwidth. There are several ways to achieve nanometer precision motion. The best positioning systems avoid friction all together, in both the drive system (motor) and in the guiding system (bearings). Frictionless bearings also avoid the bearing rumble caused by balls and rollers and provide vibration-free motion with highly constant velocity. Piezo Motors are intrinsically vacuum compatible, non-magnetic and self locking at rest, providing long travel compared to traditional piezo mechanisms. The individual drive concepts are optimized for different applications, they differ in their design, size, cost, force & speed and other performance parameters. Why All Piezo Motors are NOT Created Equal: The piezoelectric effect for precision motion control - PI Physik Instrumente. The demand for higher speed and/or precision in fields such as bio-nanotechnology, semiconductors, metrology, data comm, and photonics keep pushing manufacturers to come up with innovative drive technologies. Piezoelectric translators (transducers) are precision ceramic actuators which convert electrical energy directly into linear motion with high speed, force and virtually unlimited resolution. These actuators are used in every modern high tech field from semiconductor test & inspection to super-resolution microscopy, bio-nanotechnology and astronomy/aerospace technology. Developing and manufacturing piezo ceramic materials and components are complex processes. PI Ceramic - PI’s piezo material design and manufacturing facility - boasts several decades of experience as well as the right tools for rapid prototyping of custom engineered piezo components and assemblies. From the formulation of advanced piezo materials to the processing steps such as cutting, milling, grinding, and the precision assembly, every stage is controlled by our engineers and product specialists. Piezo nano-positioning stages are essential tools for high-resolution microscopy, such as Super Resolution Microscopy or AFM. 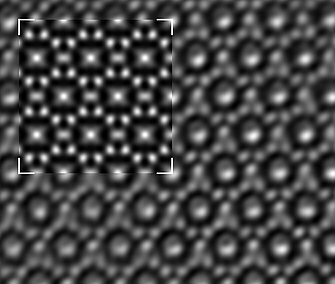 Their sub-atomic resolution and extremely fast response allow researchers to create higher-quality images faster. PI provides a large variety of fast Z-Stages and collar piezo objective positioners for 3D imaging (Z-stack acquisition), deconvolution, and fast focusing applications. PI provides a variety of innovative fiber alignment systems from motorized fiber positioners to automated optic and photonic alignment such as used in telecommunication, data commumication and for packaging / automation. In addition to fiber-based applications, fast steering systems for free-space-optical communication are also available. Products range from motorized 6D micromotion alignment systems for industrial photonics automation, through ultra-fast piezoelectric scanning & alignment modules to modular devices with manual control for laboratory test setups. All motorized systems come with extensive software for easy setup and integration. PI miCos has extensive experience in the design and manufacturing of vacuum and high vacuum compatible precision optomechanical positioning equipment for low temperature and wide temperature ranges. We provide translation stages, vertical linear stages, rotation stages, XY stages and complex multi-axis positioning systems in vacuum spec. A piezo controller or driver is used to control the motion of a piezo positioning device. There are open and closed loop controllers. Open-loop controllers are often referred to as piezo driver or even piezo power supply. Closed-loop controllers are divided in two basic types: analog-servo and digital servo controllers. PI provides a large variety of hardware & software solutions for high precision motion control. Our portfolio spans from integrated compact single axis servo controllers / drivers, such as popular Mercury-class motion controllers, to complex multi-axis systems for parallel-kinematics positioners, such as hexapods. For LabView, C++, VB, Matlab, Image Acquisitiong Packages, NI DAC Cards, ..... PI provides high-level, robust, easy-to-use software tools for fast, seamless integration of motion systems into application control software. A capacitive sensor is a proximity sensor that detects nearby objects by their effect on the electrical field created by the sensor. Standardization is common with adapter plates and brackets, but we can create a custom accessory to fit your application system. PI products ship with the required cables. Customization is always an option. PI’s tech blog offers over 40 years of insight into innovative applications of precision motion control, nanopositioning, and micropositioning in industry, science, and research. We hope the PI blog is an enjoyable and informative resource, and a starting-point for innovation across disciplines. Find Tech Articles, Videos, Papers, Brochures, Software Information, ISO9001 Certificates and more. Find brochures and catalogs for download. Find interesting downloads: Product documentations, brochures, catalogs, certificates, success stories, whitepaper and PI Update Finder. PI precision motion and positioning solutions have helped customers in many industrial fields and research laboratories to achieve their goals faster. Feel free to download the papers below. PI products are often used at the cutting edge of technology. They solve critical motion problems in lithography, microscopy, astronomy, laser technology, photonics and semiconductor manufacturing on locations around the world and in places as remote as the Science Lab on the Mars Rover. Stay up to date with the latest PI news, or plan on talking to a PI engineer at a tradeshow. PI (Physik Instrumente) provides the broadest and deepest portfolio of precision motion technologies in the world. PI USA complies with the US laws for export controlled technologies. Talk to our engineers first. They have access to in-depth knowledge and test data on diverse driving and guiding technologies, spanning from electromagnetic to piezoceramic and from mag-lev to air bearings. They also have experience selecting the right technology for each individual application. Often an adaptation of existing technologies/products will suffice to solve a problem. However, experience along with detailed knowledge and PI’s significant R&D investment in new technologies enables our engineers to take unique approaches. PI offers sound training in technical and business careers with a future. Pupils, students, graduates and professionals can get involved at PI and will be supported by us in their professional and personal further development. Use PI product videos as a resource for how you can apply our precision motion control technology to your application. Then, talk to a PI Engineer about how to make it happen. *Save Time & Headaches – Get Free Advice from a PI Engineer* Tap into our engineers’ collective knowledge base – not only is it free, but it also saves hours of your valuable time while preventing plenty of headaches in the future. Looking for product information, datasheets, CAD files? Want to have a brainstorming consultation? Need an RMA? Have questions about your order? Request a catalog? Contact us! We're here to help you. PI is a global technology leader in precision motion and positioning solutions. PI's piezo ceramic division provides high quality, high performance piezo transducers, components and custom assemblies.